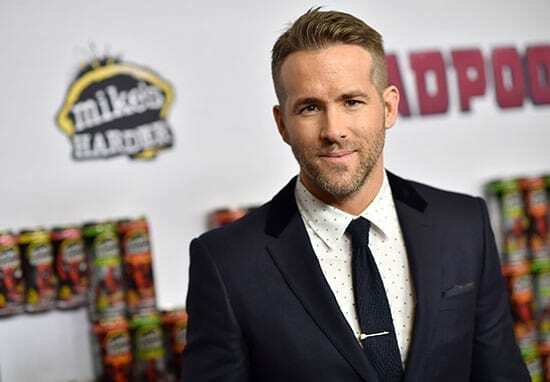 King of the internet Ryan Reynolds is at it again. Not content with trolling his own wife or Hugh Jackman, this time he’s taking on the fashion industry. The Canadian actor took to Instagram recently to have a sly (though always tongue-in-cheek) dig at the weird new trend of hip fashionistas swapping their oversized sunglasses for tiny ones. Of course, fashion isn’t the only thing Reynolds like to mock. He struck again after interrupting Hugh Jackman’s heartfelt birthday message to an unknown person. The short video, which begins with Jackman clad in a dressing gown explaining how busy he is, is quickly taken over by Reynolds lying on what looks like a hotel bed, dressed head to toe as Deadpool, singing along to Tomorrow. 2018’s been a weird one so far for Reynolds. He’s released the hotly-anticipated Deadpool 2 and been fending off private life prods from the press. He and his wife, Blake Lively have found themselves having to address split rumours recently, with media reports suggesting they’re struggling ‘to find quality time together’ because of their work schedules. A source, ‘close to the pair’ allegedly told OK! Magazine, before the story was picked up by the International Business Times, they’re heading towards a divorce, even though it’s they’ve since clarified they’re absolutely not. However, that doesn’t stop Reynolds from trolling Lively in his own films, oh no. Of course, Lively can give as good as she gets. Let’s hope the happy couple never stop their friendly banter. The internet desperately needs it.